The Torpedo Factory Art Center offers an industrial feel for your special event with exposed brick and unique architectural details from the early 1900s. Filled with artist galleries and one-of-a-kind pieces, the Art Center offers an ever-changing backdrop for all events. 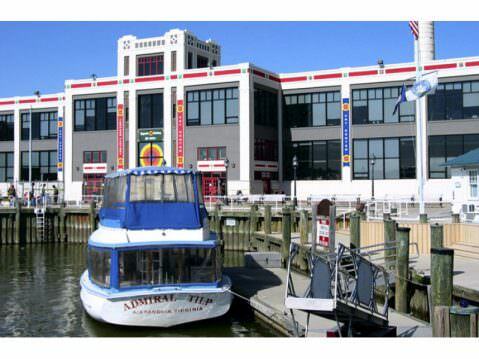 Located in the heart of Old Town Alexandria, Virginia, the Torpedo Factory is just minutes from Washington, D.C. and easily accessible by public transportation. In addition, there are several parking garages nearby, as well as on-street parking. 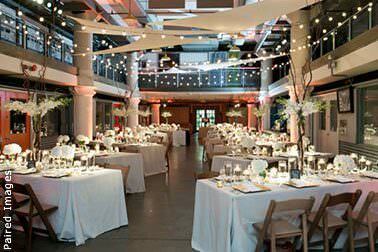 The Torpedo Factory is a popular venue for receptions, weddings, parties, meetings, and performances. The art-filled interior can be rented for private events, with space for 450 standing or 220 seated. Outside, the brick patio also offers an elegant event space, with capacity for 350 guests. The sweeping views of the Potomac River and beyond will make for an unforgettable evening.